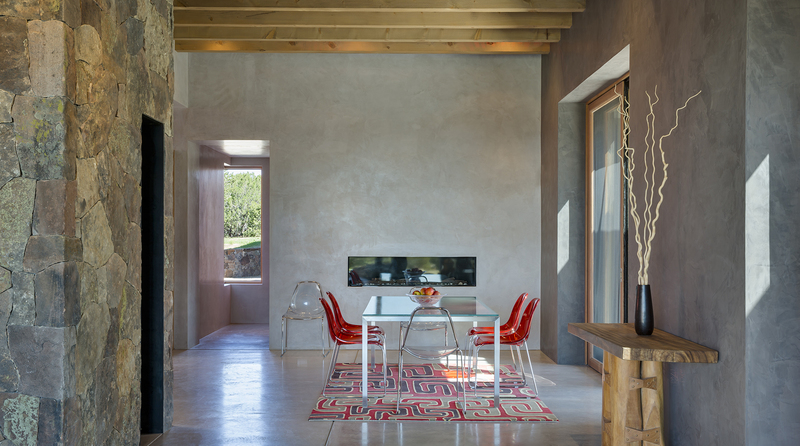 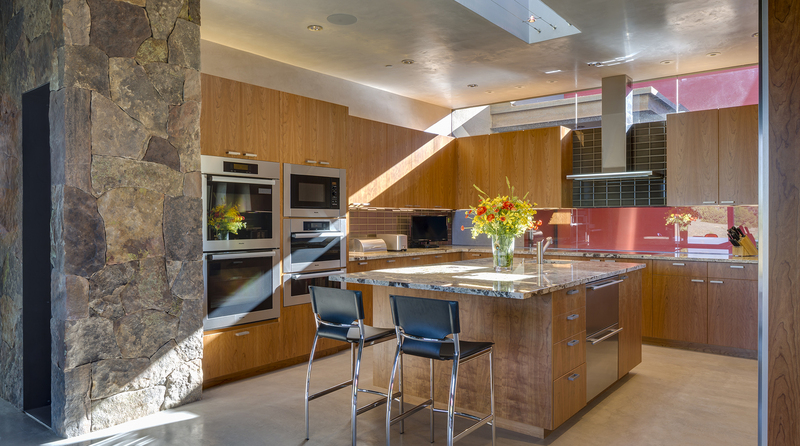 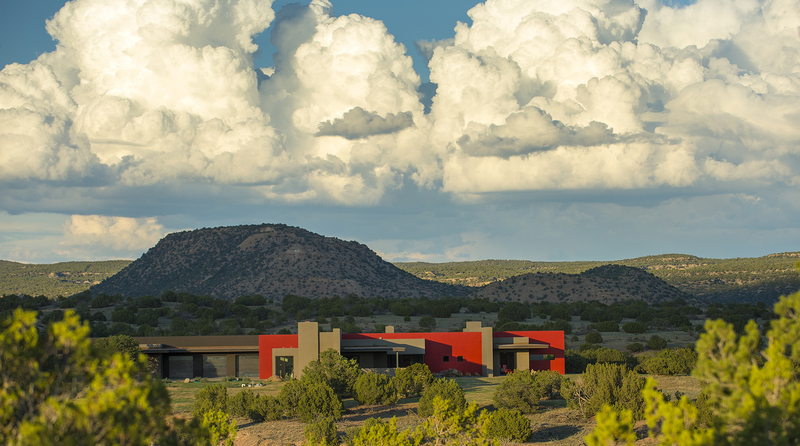 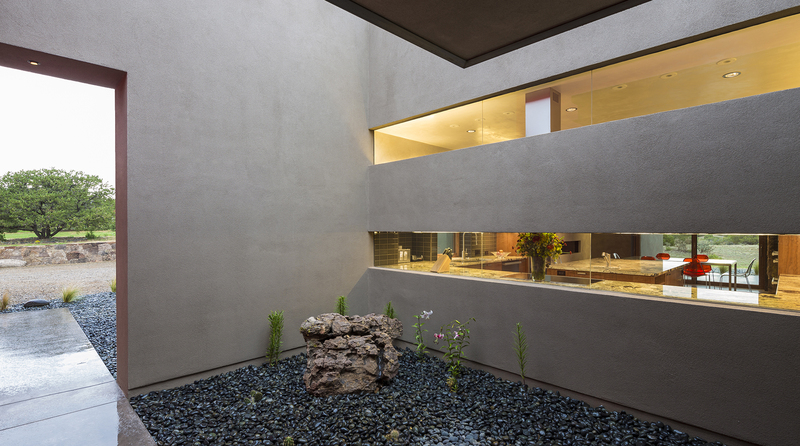 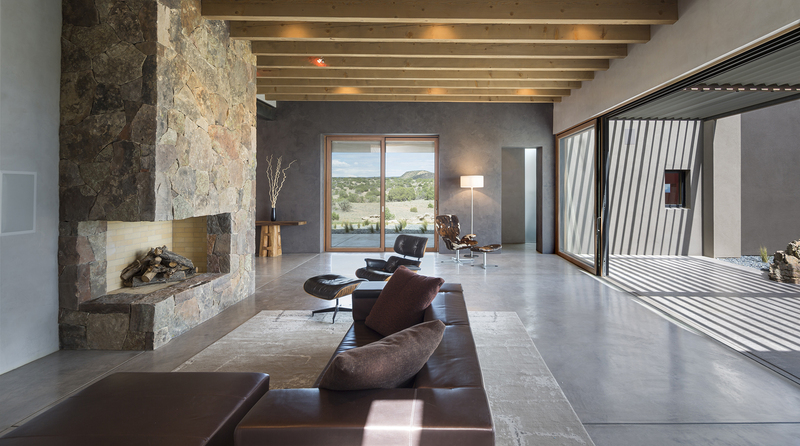 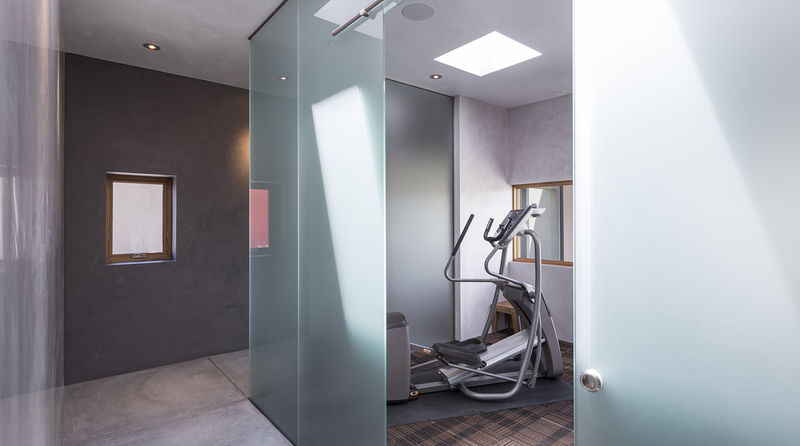 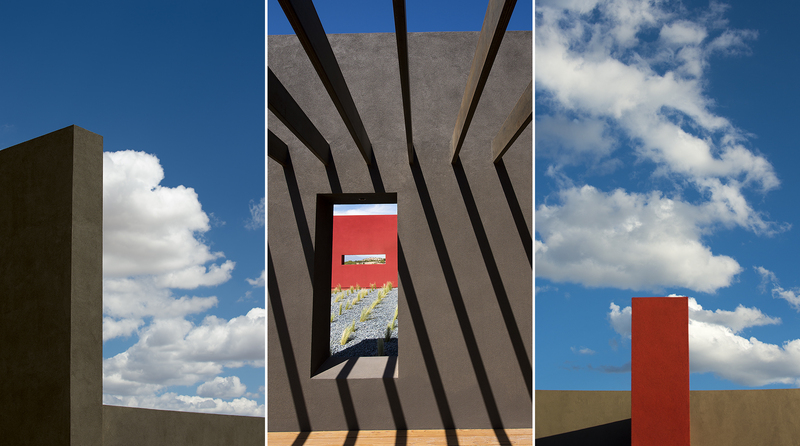 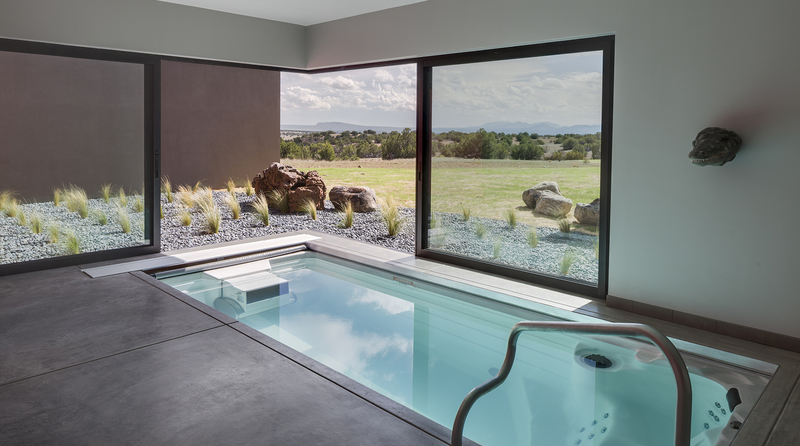 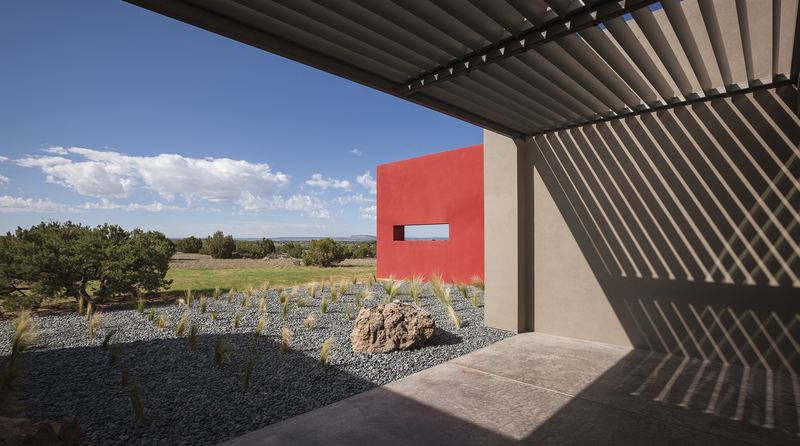 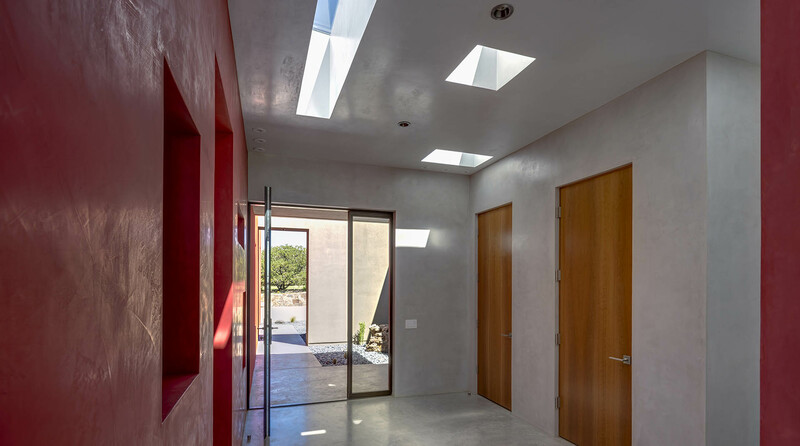 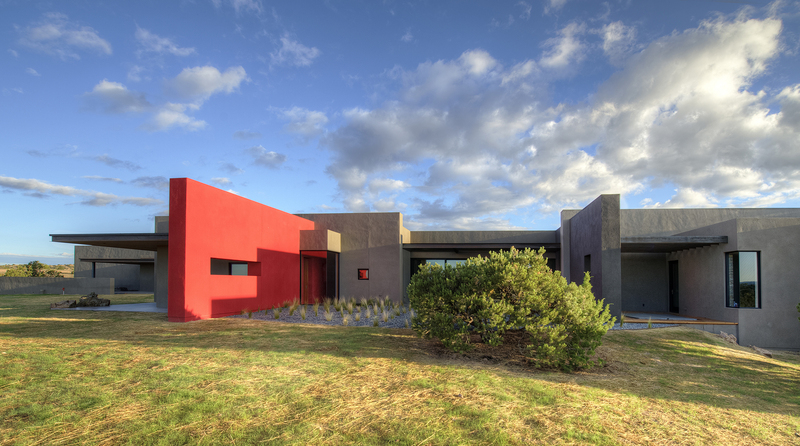 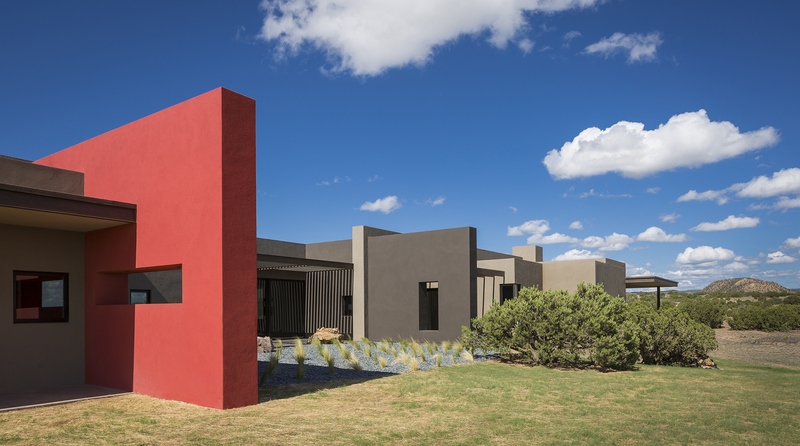 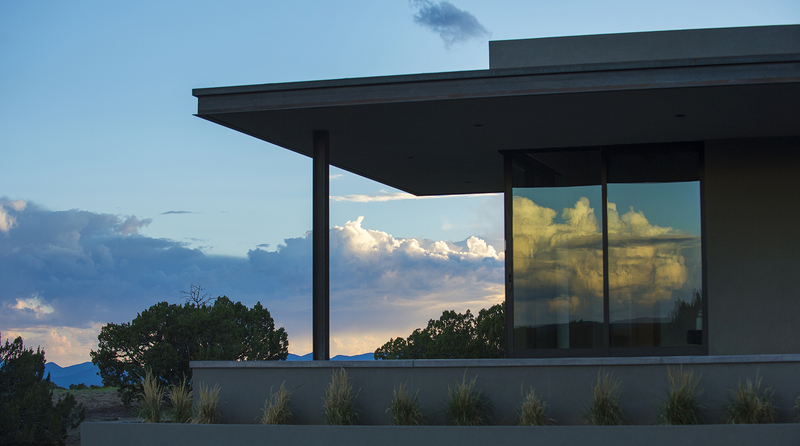 This modern home successfully translates the language of centuries-old southwestern residential design into contemporary values of spatial simplicity, sculptural form, and honesty of materials. 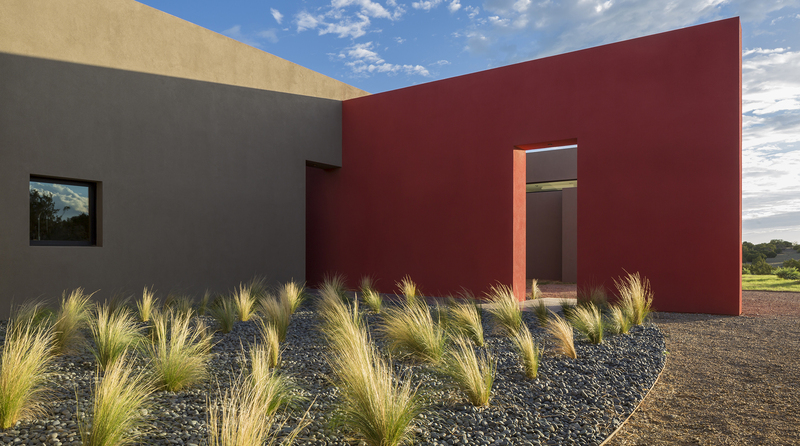 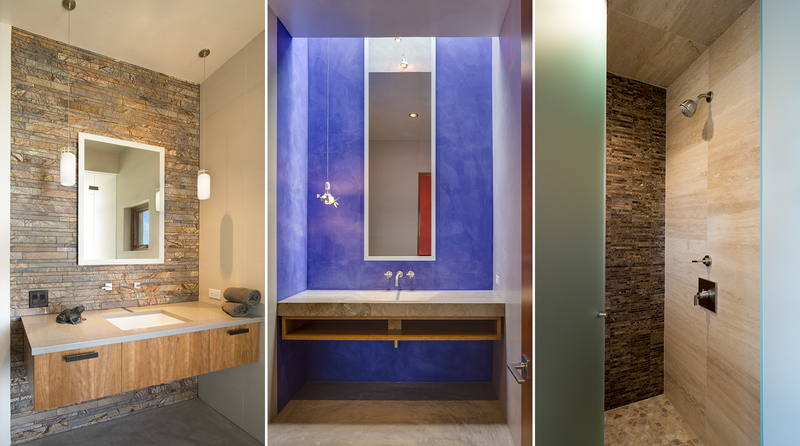 There is repose and quietude that envelopes this residence, conveying a Zen-like austerity that is not impoverished nor vacuous, but rather spiritually transformative. 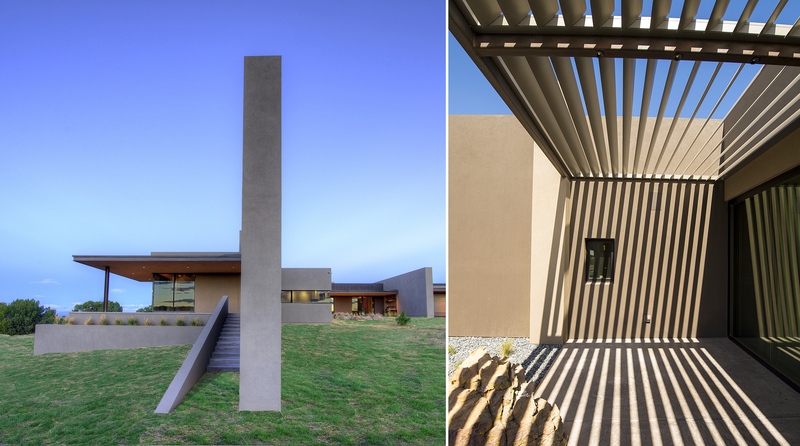 framed and honored from within, and an unapologetic building expression that elevates the nobility of human habitation within the natural landscape. 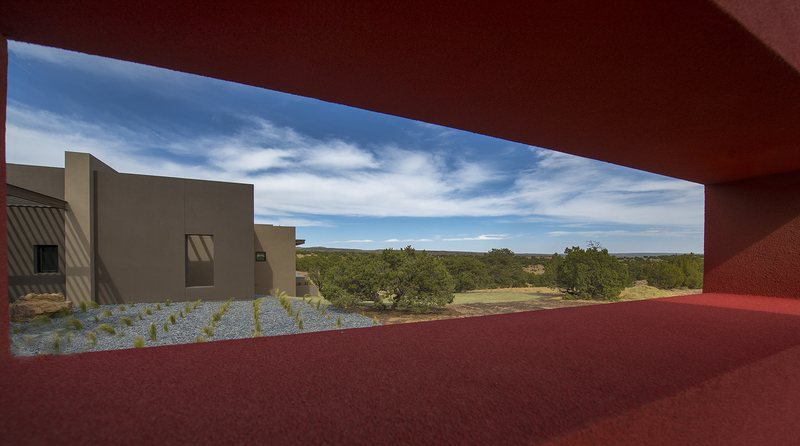 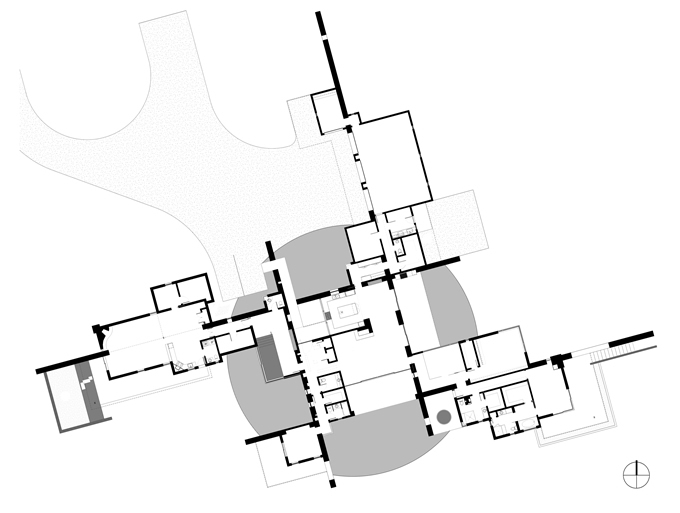 Passageways offer procession, courtyards offer shelter, daylighting invigorates the interior spirit, vistas beckon the imagination, the scenery is welcomed in, and outdoor terraces invite the pageant of celebratory living on the land. 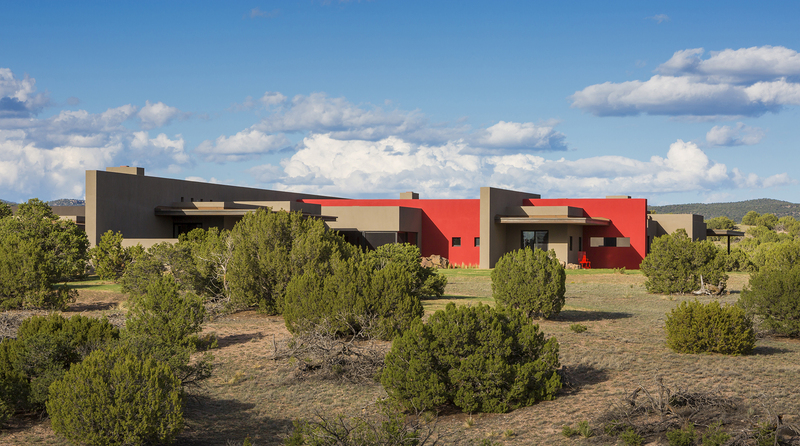 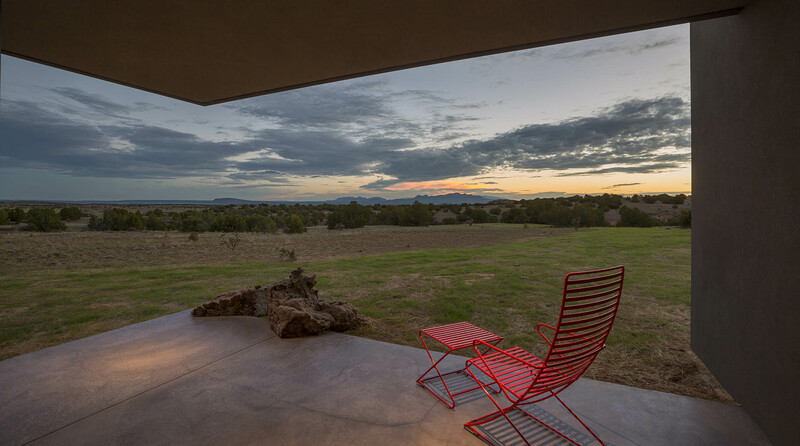 Ordered with clarity, imbued with sculptural subtlety, enchanted with a southwestern legacy, this home is a touchstone of the new century’s regional architectural heritage.